When planning a future trip, many people may have a beach getaway or hiking adventure in mind—but they still may be wondering where to go. With Trip Consideration, Facebook is giving travel advertisers the opportunity to help consumers answer that question. Trip Consideration is a new pixel-enabled conversion event that allows travel advertisers to match people from Facebook’s database who have expressed interest in traveling. Advertisers will also be able to overlay their desired audience characteristics and present targeted ads to these individuals. Trip Consideration does not require dynamic ads to function, but it is designed to optimize any existing dynamic ads. To use this service, you must have a pixel implemented in your digital campaign. With more than 68 percent of Millennials finding ideas for their most recent trip on Facebook, introducing this conversion objective made sense. Travel discovery and trip planning are already happening across other platforms, including Instagram, where 60 percent of Millennials draw trip inspiration. Facebook aims to give travel marketers a way to reach people who have already been struck by the vacation bug, allowing them to showcase deals and popular destinations. So, how does Trip Consideration work? Take an example of a traveler who has demonstrated interest in a cruise by browsing travel-related pages. With Trip Consideration, advertisers can help the traveler find the services that meet his or her needs by promoting cruise packages or relevant deals. These helpful ads may encourage the traveler to finalize a booking. Trip Consideration is an upper funnel tool that doesn’t require live dynamic ads, which allows for seamless setup. Because the feature targets those who haven’t made any specific travel plans, the ads become static creatives. Advertisers can use photos of deals, promotions, or highlight certain destinations using static images, carousels, or single videos. They can also provide brand creatives to attract customers. Users who intend to travel often are searching for inspiration, making them an attentive audience. While dynamic brands often work alongside product feeds and dynamic creatives, they aren’t necessary to set up a Trip Consideration campaign. Therefore, travel advertisers can leverage Facebook’s large web of intent data instead of trying to determine the characteristics of potential travelers. The key advantage of Trip Consideration for hotel advertisers is that they can use the ads to influence the traveler’s choice of where to stay. Hotel advertisers can lure travelers in with special offers, destination attractions, or appealing packages. Plus, Trip Consideration can be paired with collection ads, which allow advertisers to showcase a wide selection of properties. While Dynamic Ads for Travel (DAT) isn’t yet available for airlines, flight companies can still use Trip Consideration as an effective upper funnel solution. Airlines can advertise their flight destinations, as well as highlight promotions and special deals. Because Trip Consideration targets future travelers, airlines will benefit from higher-quality, more engaged traffic. Most Facebook advertisers are familiar with Dynamic Ads, which automatically promote products to users who have expressed interest on your website, app, or elsewhere. After uploading your product catalog, Dynamic Ads will continue to show users up-to-date availability and pricing. With Trip Consideration, Facebook is taking Dynamic Ads’ functionality to a new level. Advertisers can reach people early in the trip-planning process, allowing them to present options that may sway their decision. Plus, it allows advertisers to pair the right message with the right creative. Creatives can be selected and placed without having to provide a product catalog. When you add Trip Consideration to your campaign, it will work alongside your existing targeting options to deliver ads to the right people at the right time. It works across multiple platforms, including Instagram, Messenger, and Audience Network. Select a broad audience: Small or narrow audience sizes may result in poor ad delivery. 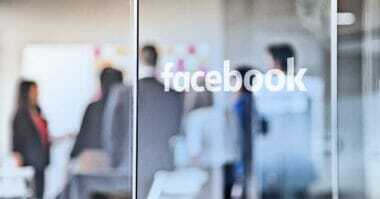 Facebook recommends choosing an audience of 7 million or larger when using this service. Trip Consideration also can be used alongside existing targeting, including Lookalike Audience targeting or interest targeting. Optimize for actionable items: With the website conversion objective, it’s best to optimize for search, checkout, or purchase events. Start with autobid: Starting a campaign with autobid will help to maximize ad delivery. If you find that the campaign is performing well after three days, you can then experiment with specific bid targets. Use an “always on” tactic: Utilizing Trip Consideration as an always-on campaign strategy allows you to reach as many potential travelers as possible. Evaluating Trip Consideration’s impact on the optimized event is the best way to measure the tool’s success. For example, if you optimized for search, success could be measured by the cost per search and the overall search volume. With Trip Consideration, Facebook has given advertisers the opportunity to see which users are currently interested in travel. The new tool also allows advertisers to prioritize delivery to users who are looking for travel inspiration. It provides additional optimization to your targeting specifications, allowing you to catch potential customers as they make travel decisions. Travel advertisers hoping to optimize their ad spend should consider taking advantage of this exciting new feature. 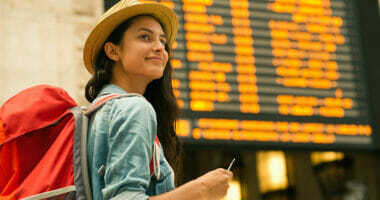 Trip Consideration can drive more qualified traffic while providing customers with relevant, useful travel information. Learn savvy social media marketing tactics for travel advertising. Contact MDG Advertising today at 561-338-7797 or visit mdgadvertising.com.